Producer / Mix / Film Comp. If you are looking for songs with innovative sound design and compelling arrangements, you've landed on the right profile. I've worked in a number of different genres and draw characteristics from each to produce songs that are unique, but accessible, while tailoring to the artist's / client's vision. 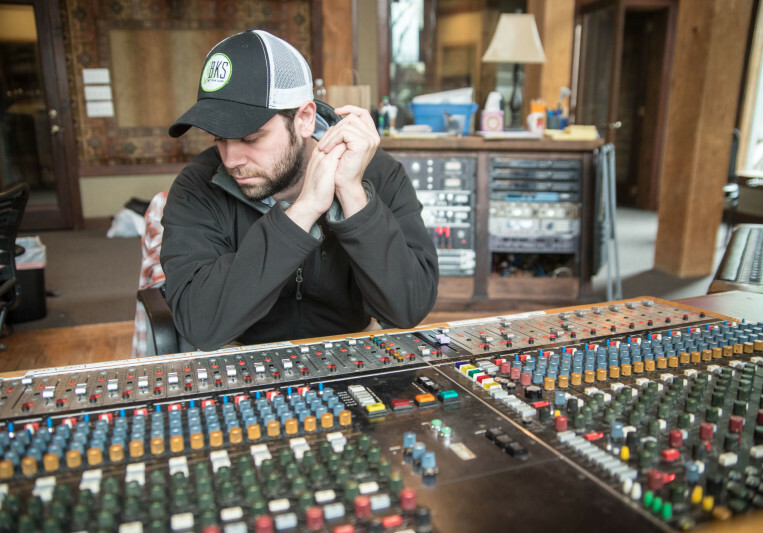 Originally hailing from a small town up in New England, Harris Owens moved to Nashville to pursue his passion for music production and attend Belmont University for a degree in Music Business with an emphasis in Production. As a multi-instrumentalist, Harris relates with any musician or artist to communicate and execute any ideas they may have during the production process. Harris has been songwriting, producing, and performing for over 9 years. He emphasizes genre blending and creative sound design in his productions to create unique recordings that tailor to the artist’s visions. With his primary instrument being drums, Harris has an ear for groove and flow between instruments, resulting in clear and clean recordings. Harris is an amazing communicator and his attention to detail is evident in his work and his character. I really appreciate it when someone comes with everything prepared the right way, it created such a great work flow and a final product we were both super excited about - Thanks Harris! Professional, by all means that's the first word that comes to mind. He has an expertise in dealing with each work in a very adept manner. I always feel like I'm in good hands. He's creative, he's excited, and he's passionate about every project! Harris is the type of guy to stay up until 5 am working on my songs because he takes such pleasure in it. I honestly can't thank him enough!! 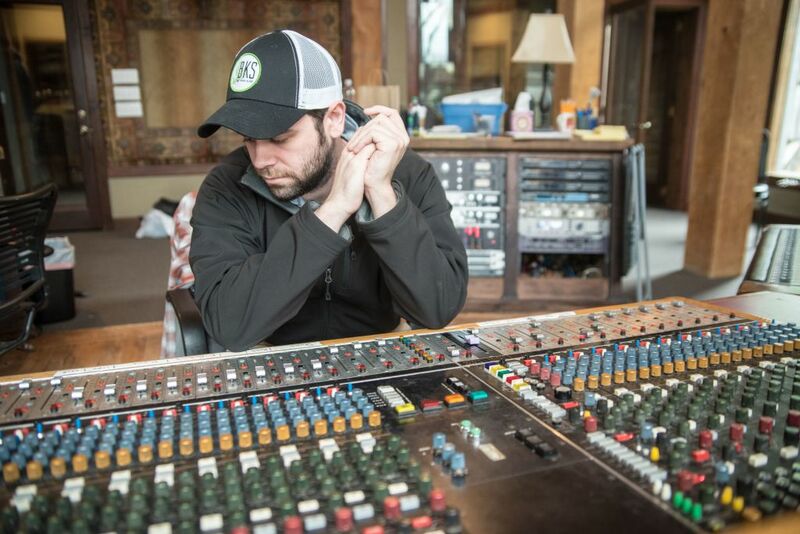 Harris is a brilliant producer, songwriter, engineer, and player with a strong understanding of music production. His distinct tastes always lead to something that never fails to impress. He is always a pleasure to work with and has the ability to efficiently facilitate the recording process. If you are looking for something unique, but also relevant, Harris is your guy. A: I am proud of all the projects that I work on. Every single one of them is a new journey of collaboration and creativity with great people. One project I am especially proud of is a track I produced with a close friend of mine. The song is called "Say To You", and it features Jeremy Ducey from the band Soul Case. We created the song over the internet by swapping files back and forth and it was finished quickly. Jeremy wrote some incredible lyrics that people can relate to through their own experiences. A: I'm currently in the process of writing and producing my own EP! I release my own music under the artist/producer name, Hutley. "Hutley" is my dog's name and I thought it would be cool as a producer name. A: Collaboration with songwriters, mixing engineers, and mastering engineers. Once I finish production on a track, I love passing it along to someone to get another perspective. I think it fuels the creative process and makes a song the best it can be. A: What are your goals with this project? When do you want it finished? What are some of your references / who are some of your influences as an artist/musician? A: Come prepared! Make sure you have all the files needed on hand. The more prepared, the faster the project gets done: if you end up spending to much time on a project, you start to overthink things. A: A laptop, Logic Pro X, an 88 key piano, Serum, and Maschine. A: I have been working in music production for about 10 years now. I studied Music Business with an emphasis in production at Belmont University in Nashville, TN. I've surrounded myself with musicians and music creators all my life. I've always enjoyed creating music, whether it be EDM, Bluegrass, or Rock. To me, music is music, and what sounds good sounds good no matter its background. A: I would describe my style as authentic electronic that is warm and inviting. The sounds I typically create reflect a feeling of nostalgia. A: One artist I'd love to work with is Muse because of their courage to experiment on a large scale. A: If something sounds good, don't try and fix it - sometimes you need to fix the elements around it to make it sound great. A: I typically work on Indie-Pop/Pop productions and chilled-out instrumental tracks. Some instrumental tracks are meant for film, which also introduces orchestral arrangements. A: My strongest skill is filling the spaces that need to be filled creatively and effectively. A: Decorations and ear candy. I've always felt all the small details in a production create something much bigger than it once was. For example, you can have a vocal melody that is an amazing hook, but sometimes it needs that extra flare to really make it stick. I like to give a song or production the extra flare it needs to take a song to the next level. A: For a full-song production, I typically divide my work in 5 stages: songwriting, production, editing, mixing, and mastering. 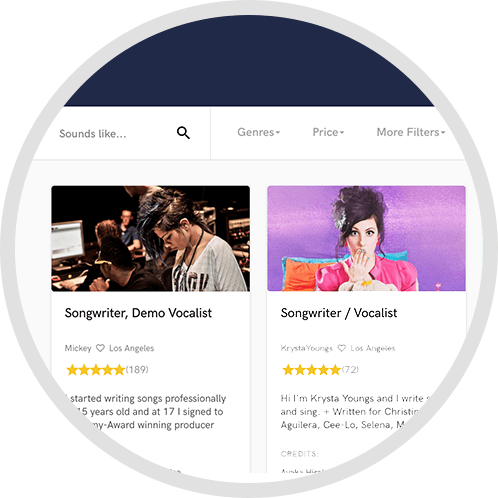 The songwriting stage usually includes a simple demo production of the track for songwriters to write to. Once a demo vocal is tracked, I begin the production stage. Production is the largest of the 5 stages, which essentially involves building a complete production around the demo vocal and demo production. During this stage, final vocals are tracked. 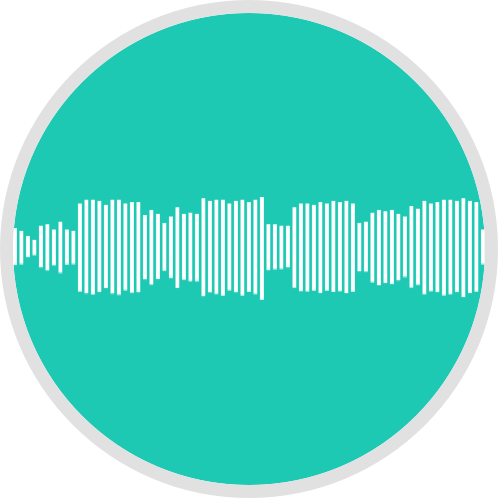 The editing stage includes vocal editing, vocal tuning, instrument quantization, and any other editing the track needs. The mixing stage involves bouncing all tracks to audio and importing to Pro Tools if it is needed for the session. Once the track is mixed, I send the track out for mastering. A: My studio set-up includes all the essentials for production and results in the tracks you hear on my page. In addition to the plug-ins listed on my page; I use a macintosh computer equipped with Logic Pro X and Pro Tools, an 88 key yamaha piano, an Oxygen 25 keyboard, Roland V-Drums, 2 electric guitars + 1 acoustic, a Saffire Pro 40 interface, 2 Behringer monitors, and much more. I frequent a studio here in Nashville, TN for productions that need a bigger room for tracking. A: I am driven primarily by innovative sound design, arrangement, and production elements. Some artists/producers that inspire me to pursue these song characteristics are Nick Murphy (f.k.a. Chet Faker), Maggie Rogers, Billie Eilish, Flume, Trent Reznor, Sasha Sloan, The 1975, Charlie Puth, OSEZSA, Muse, Young The Giant, Beck, Abigail Rose, Ramin Djawadi, and many others. A: The most common type of work I do for clients entails music production and instrumental composition/production. Instrumental productions are often for film, as well as top-liners and artists looking for a track. 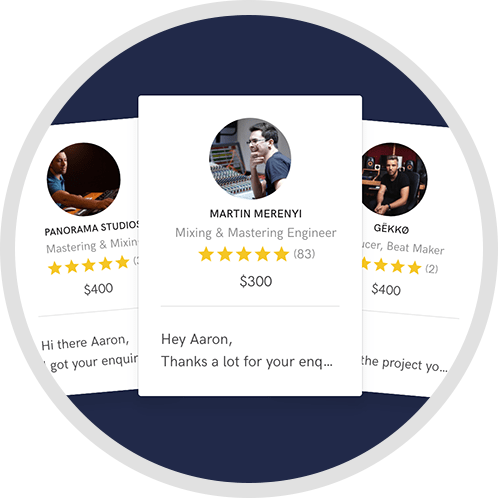 Full productions can begin during the songwriting stage (before arrangement and lyrics are final), or post-songwriting (after chords, lyrics, and arrangement have been finalized). 10% off any service for new clients!